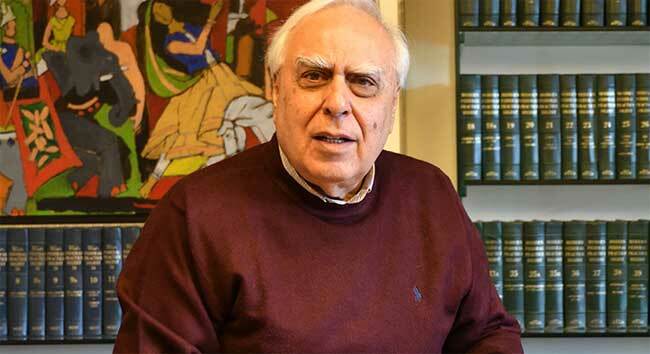 London, Jan 22 (PTI) Senior Congress leader Kapil Sibal on Tuesday demanded a probe into the charges made by a self-proclaimed US-based cyber expert, terming them as "very serious" as they concern the survival of democracy in India. A day after he was caught up in a row for attending the press conference by cyber expert Syed Shuja, who addressed it through Skype, Sibal hit out at Union Minister Ravi Shankar Prasad, saying he has made an "irresponsible statement, not befitting the office he holds". Sibal said this is an issue of free and fair elections. The issue is whether the Electronic Voting Machines (EVMs), can be tampered with. "This is an issue concerning the survival of democracy in India," he told reporters. "There should be an inquiry in the charges he (Shuja) has made. The Supreme Court and the law says there should be an FIR. It is your responsibility, if someone is making allegations it is important to ascertain whether the charges are right or not. If the charges are wrong, take action against him. If they are right, then it is a very serious thing," Sibal said. Prasad alleged that the London presser of Shuja is a "Congress-sponsored conspiracy" designed to "defame" Indian democracy and its Election Commission. He also raised questions over the presence of Sibal at the event. "What was Sibal doing there? In what capacity was he present? My charge is that he was there to monitor the event for the Congress. It was a Congress-sponsored conspiracy designed to defame Indian democracy and its Election Commission," Prasad said. Taking on Prasad, Sibal said he has made very "childish statements as the issue pertained to free and fair elections and the survival of democracy. "A minister has made some statements which are irresponsible and are not befitting the statement of the office he holds," he said. Justifying his attendance at the event, Sibal said, he attended the event after its organiser and journalist Ashish Ray sent him a personal invitation. "When Ashish Ray said he has sent an invite to various political parties and he sent a personal invitation to me also. Since I know him, I told him that I would be there for some other work but I would certainly attend it and I attended it," he told reporters. The Congress leader said Shuja has sought political asylum in the US and that the US government probed the charges made by him for two years and the charges made by him should be probed in India also. He said the Congress party had nothing to do with the fact that he sought political asylum in US and who all he met before leaving the country. "It sounds like a science fiction story to me. But, it can be verified also," he said, commenting on the charges made by Shuja. Shuja made a sensational claim on Monday that the 2014 Lok Sabha elections was "rigged" through the EVMs, a charge rejected by the Election Commission of India. He said he fled India in 2014 because he felt threatened in the country after the killing of some of his team members. Although he appeared on screen through Skype, his face was masked.